Abu Dhabi: Pope Francis on Tuesday concluded his UAE visit- being the first Catholic leader to visit the Arabian Peninsula- through a historic mass at Abu Dhabi. An estimated 170,000 Catholics attended the mass at a stadium in Abu Dhabi. Pope Francis, who has made outreach to Muslim communities a cornerstone of his papacy, is wrapping up a historic three-day visit to the UAE on Tuesday. “How beautiful it is for brothers to be joined under this sky,” said an MC in Arabic shortly after the pope’s arrival around 10:00 am. 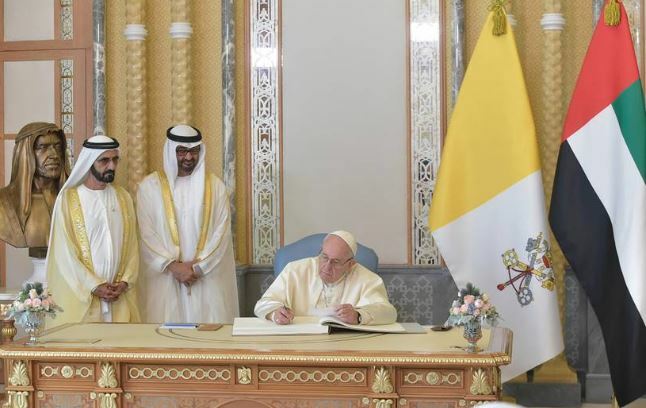 The UAE invited the pope to visit as part of its 2019 “Year of Tolerance” which has its own designated ministry. 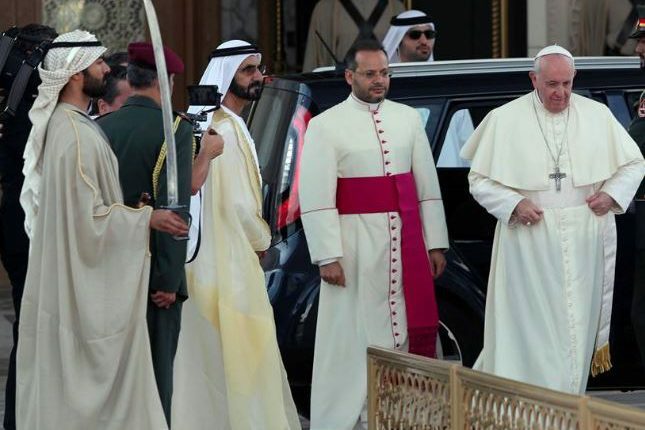 UAE’s Tolerance Minister Sheikh Nahyan bin Mubarak greeted the crowd at the stadium before the pope’s arrival for mass. 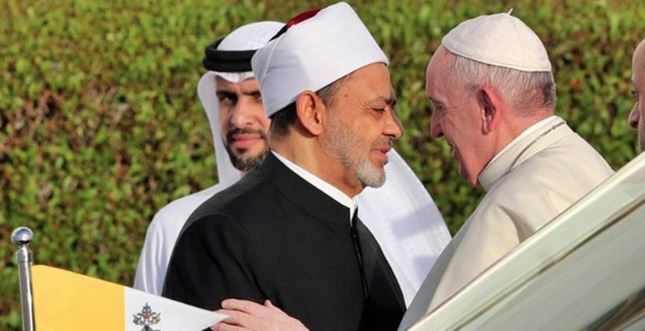 On Monday, Pope Francis held talks in Abu Dhabi with Sheikh Ahmed al-Tayeb – imam of Cairo’s Al-Azhar, Sunni Islam’s prestigious seat of learning.